In European books this butterfly is called the African ringlet. It is found on a few Greek islands and eastwards into Turkey. 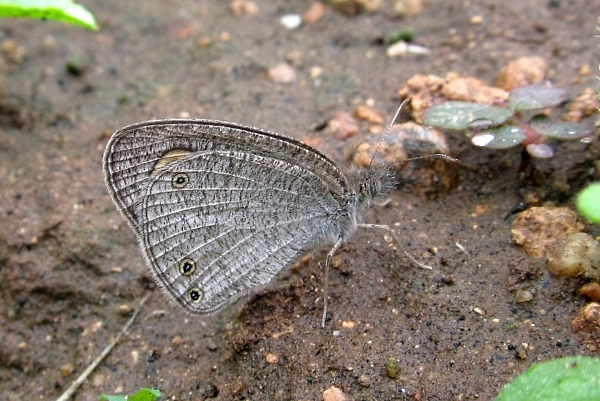 It is much commoner in southern Asia and the picture above was taken in Tirupur, in Tamil Nadu, India, where it is known as the common threering.